I like my music to be either upbeat or angry (or, in rare cases, heart-wrenchingly sad), but never middle-of-the-road mellow. I like most of my clothing to be black or, alternately, vibrant colors like orange, neon green, hot pink, or red, but never pastels. And I like my soups to be either big, chunky bits of meat and vegetables — cooked separately then arranged in a bowl and covered with broth — or smooth, veggie-infused purées, but never “throw a bunch of stuff into a pot and simmer” soups. Which is why I like this Gingery Pork & Bok Choy Soup and why I’ve been experimenting with soups like Golden Cauliflower and Silky Gingered Zucchini. NOTE: This is adapted from Cook’s Country to use my favorite spices and to be Whole30 compliant. I cut back a little on the fat because I don’t think it needs quite as much as Cook’s recommends, and I added Ras el Hanout and more garlic. If you eat sweet potatoes as a post-workout recovery food, this is a lovely alternative to your usual. I usually eat about 1/2 cup sweet potatoes at once, and 3/4 cup of this soup is roughly the equivalent amount of dense carbs. Also, let’s talk about bacon. I’m not a bacon fanatic, but I do like the depth of flavor added by our porky friend. Each serving of this soup gets about a 1/2 slice of bacon, so it’s more a seasoning condiment than a primary ingredient. Cut bacon into 1/4-inch slices and place in a cold soup pot. Heat the pot over medium-high heat and cook the bacon until it’s crisp. Remove with a slotted spoon to a plate covered with paper towels and set aside to drain and crisp. Keep 1 tablespoon of the fat in the pan and discard the rest. Re-heat the fat over medium-high heat, then add the onions, Ras el Hanout, salt, pepper, and cayenne. Cook, stirring occasionally, until the onions are soft, about 5-7 minutes. Toss in the garlic and stir, cooking until fragrant, about 30 seconds. Add the sweet potatoes, broth, and water to the pot. Bring to a boil, reduce heat to simmer, cover, and cook until the potatoes are tender, about 10-15 minutes. Working in batches and being careful (please be careful, friends! ), purée the soup in a food processor or blender until it’s smooth. Return to the pot, taste, and adjust seasonings. Ladle into bowls, then sprinkle with a little bacon and chives. Both the bacon and soup hold up well in the fridge for a few days. Click the image to check out PlateJoy, a delivery service that sends you ingredients (overnight!) to make some of your favorite Well Fed recipes. I am so going to make this. I got some good, healthy, bacon as part of a 25 lb “pork bundle” from a local farmer. Thanks for the recipe. This looks amazing. Now I just have to bite the bullet and spring for the US Wellness sugar-free and nitrate-free bacon- I haven’t been able to find any in stores or with farmers here. I can’t wait to add another comforting soup recipe to my winter rotation. I am so going to make this & soon! Yum! Going to try this!! Looks delish! Getting my shipment of bacon today and can’t wait to use up the sweet potatoes in my tuber drawer. I use an immersion blender for pureeing soups, they’re inexpensive and soooo worth it when you’re dealing with hot stuff and, also, MAYO. Happy new year! Totally agree about the immersion blender, for mayo AND soups! I also use it all the time to blend up a banana with some eggs to cook up my banana-egg “porridge” concoction. Much easier to clean than a blender, and it works much better for small amounts of food. Yep, an immersion blender makes creamy soups simple, and a lot easier to clean up afterwards. I make smoothies with an imersion blender it works better than some blenders and you can control it. Yes! Fantastic recipe! Have some pork belly which I’ll try in it. Making it right now and the house smells amazing! Thank you! Going to eat some for lunch and then serve the rest with dinner. I’m going to bake some cod in avocado oil and lemon juice with the Ras el Hanout and a salad of baby kale, chard and spinach with pears and shallots. Can’t wait! Wow. That looks and sounds amazing! I think I might make it tonight. Hi, I live in a remote middle of nowhere place in Canada (VERY unhealthy place and only one grocery store). Nothing is hormone-free or organic or anything and i’m finanically strapped so “ordering” and stuff is impossible. Impossible. Thoughts? Not sure about all this stuff. I’ve been eating grain fed turkey but avoiding the pork and beef. WIld salmon or wild cod , canned fish, eggs (I think I’m intolerant, oye), and stuff. (P.s…I’m not paleo…I’m SO imperfect, but curious baout it …I’m low weight and lotsa digestive issues. Would email ya, but seen none. Thanks for any response. 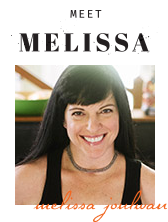 I know you’re asking Melissa, but I just felt compelled to answer you 🙂 From my experience, it’s way better to eat conventional real food (aka Paleo food) than even Organic grains or other junk, if that makes sense. In other words, I’d rather eat all conventional meat, seafood, veggies, etc. than chuck the whole idea and just eat a standard American diet. I would put my effort there first and then slowly work on getting the quality up. 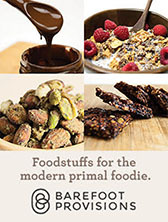 Diane from Balanced Bites outlines her recommendations for priorities in her book, Practical Paleo – I believe she suggests working on getting high quality fat sources first. So if I was eating conventional meat, I’d pick lean cuts and then use coconut oil, ghee, olive oil, avocados, nuts, etc. for my fats as opposed to getting most of it from my meat. In my opinion, the dangers from conventional meat and veggies pale in comparison to the damage I do to myself when I eat gluten, most dairy, and seed oils (“vegetable” oils like canola). In the end, you need to make that kind of judgment call according to your own values, budget, and health concerns. It’s up to you to decide what’s most important. Good luck and you’ve found a great site here, so you’re on the right track! Thanks for the kind reply. I’ve never eaten “SAD”…very “healthy” and rarely grains…but I have hummus, dairy galore (organic greek yogurt), etc…still tons of digestive issues and a ton of constipation> I think eggs are also troublesome which makes eating paleo even worse 🙁 not sure. I still can’t bring myself to buy the store brand bacon and beef and pork. I can succumb to the chicken and turkey , but the other stuff just grosses me out. If you’re having digestive issues I would recommend checking out the Whole30 (whole9.com) it’s centered around relieving inflammation and digestive issues. If you’re not interested in that, as far as the bacon several things I’ve read researching this diet suggest pork belly, sliced like bacon. 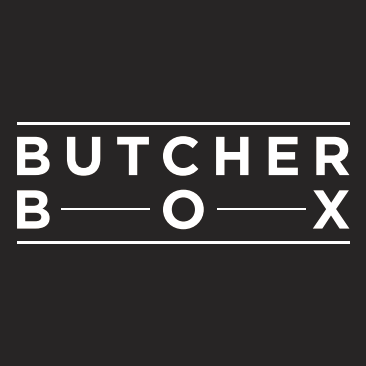 Is there maybe a nearby processor/butcher or maybe the local grocery store will cut it for you? Doesn’t solve the organic problems but doesn’t have all that sugar. Just a thought. I made this tonight and it was amazing!!! What do you recommend as a side to fill in that blank? I find that broccoli florets work very well for “mopping up” duty. Those little flowery ends do a nice job of gathering sauces and I’m sure they’d do well with soup. Plus their deep greenness would look fabulous next to the beautiful golden color of this soup. On the stove right now! Hope my kids like it. I know my hubby will. One kid wouldn’t entertain the idea of trying it, the other ate her bowl full. We topped with grass fed ground beef. Hubby and I had seconds. :-). Thanks for sharing a great recipe, Melissa!! Oops, forgot to mention that my stick immersion blender worked perfectly. Easier than putting into my BlendTec. Melissa! This is AMAZING! My favorite soup so far, out of any soup ANYWHERE. And the spice mix…can’t wait to try that on other things. I left the extra cayenne out (just used what was called for in the mix) since I have two kids and it was just the right zing. 3/4 cup?! I could eat the whole pot. Hi, everyone! Thanks for your awesome comments… I’m glad you like this! Cook’s Illustrated never steers me wrong, and I love adapting their recipes to be compliant with Whole30 guidelines. YAY! I start Whole 30 today… Or maybe tomorrow. Anyway – I’m in prep mode and I made a pot of this this morning. And I’m eating it right now. It is sensational! Thanks! I’m sticking it in mason jars for lunch at work, or, what the heck, breakfast too. (For those who care – followed the recipe to the word, except for also not having any saffron in the house for my Ras el Hanout). This was amazing.. AMAZING. I wanted to eat it all .. made myself put some of it away for after boxing tomorrow. I made this for dinner tonight and it was AMAZING!!!! So Flavorful! Just made the soup tonight and it was INCREDIBLE! Hubs said it tasted like it came off the menu of our favorite local Middle Eastern restaurant…actually even better! 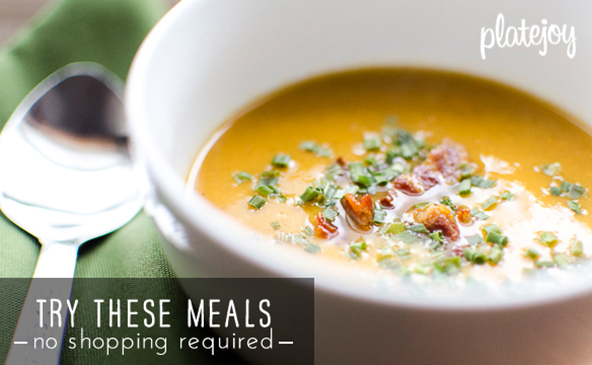 This goes on our favorite soup list for sure and it was sooo easy! I was concerned about the spice I had never heard of but luckily we have a spice shop here and they had it! I am definitely gonna try that spice on other things too! I used an immersion blender and it worked like a charm and added a dollop of plain greek yogurt in addition to the chives and bacon…YUM! Thank you so much for such a great recipe! Happy Belly!! Made this yesterday and loved it! The Ras al hanout takes the “sweetness” out of the sweet potatoes, which has always been the part I don’t like. Just started paleo and you have me off to a great start. Thanks, Mel! Made this tonight! It was amazing!! Topped with the crumbled bacon and a very small amount of goat cheese crumbles. Not sure if that’s forbidden fruit or not, but it sure tasted good! Thanks for the recipe! He loved it, so did the rest of us! Its our new favorite! Yowza! I’m really glad you like this soup so much. YAY! I wasn’t sure if I was going to include in my next cookbook, but now it looks like I should. I have lots of idea for variations and ways to change the spicing, so I think we have a keeper for Well Fed 2. Thanks, everybody! Made this for dinner and it was FABULOUS! Husband had three bowls. And that spice mix smells like heaven! Thank you! 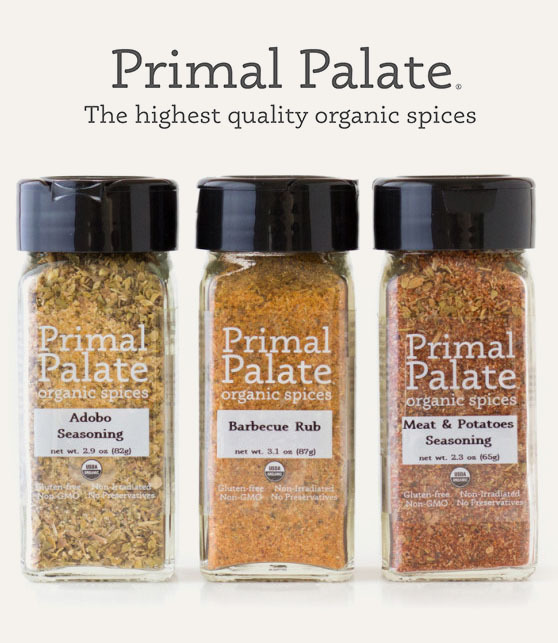 Pingback: Eating REAL food 1 – Paleo basics – Blog ALL the things! Pingback: 2 kilo | Welkelke? I’m day 10 into Whole30 challenge and this soup was just what I needed to spice things up. Topped it up with some fresh avocado slices.. delicious! And I got to try out my Cuisinart Smart Stick for the first time. Love the recipes you post with the great descriptions – they have been hugely helpful in me improving my health and my daughters! I even now live on paleo and do Ironman events – proof this is the right course for me. I was wondering would you do anything different for this recipe in a crock-pot? Would it work? Much appreciate and have an awesome New Year! Right on — glad you’re finding the recipes helpful. This should work in the crockpot, but I’m not sure that you gain that much because you still have to cook the bacon, onion, and spices on the stovetop. If you want to try it, follow all the instructions as written, but put the sweet potatoes, onions, and liquids in the crockpot. Skip the water — if the soup is too thick when you puree it you can add water then. The potatoes will probably take about 2-3 hours on high to get soft. Made it this evening and it was fantastic! My wife enjoyed it too. I added a small handful of mushrooms and a tablespoon of fresh ginger to the recipe. I will make this again without a doubt. Thanks for the recipe. It’s amazing, isn’t it? All three of the veg pureed soups I’ve made recently have been magically creamy. Vegetables are awesome. Ever since you published this recipe, it has been on my list to cook up. I absoulutely adore sweet potatos- they are my most favorite tubular! Tonight came, had all the ingredients and voila, something completely different in taste than I had expected, but absolutely and wonderfully creamy with a depth I had not anticipated. Well done- I have been well fed! Sweet! Glad you liked it. The flavors are pretty subtle, right?! It was more mellow than I expected, but I really liked it, too. Caramelized coconut chips as a garnish is a great idea! Someone told me they’ve been making coconut chips with smoked paprika — I bet that would taste totally rad on the sweet potato soup! I love this soup! I made it tonight and it will be added to our favorites! You are amazing!!! You are in a class all your own…. You are truly a gift to us all. P.s. This soup is a little bit of heaven on earth. 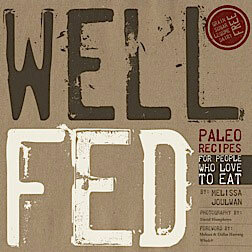 Be Well… “Well fed” that is! I have been telling all my “paleo” foodies about this soup! I LOVE it!! I am making it again for the 3rd time, dbl batch this time. Yummmm…. Ok, I’ve made this a bazillion times now and I had some for lunch today.. but I went for a walk at lunchtime and got alll haaaaaawwwt…. I want you to know it’s just as wonderful and very refreshing served chilled. actually.. I think I’m gonna shove this in an icecream maker and see what happens. GENIUS! Love it! Let me know how it goes! Oh my word… this soup is *insanely* delicious! I’m a non bacon eater so I made it with spiced beef and the results are tremendous, stupendous and utterly yummy. My husband eats sweet potato after crossfit as recovery and this is a welcome change to our usual sweet potato recipes. Bonus points for being one of the few foods I can stomach at 2 months pregnant! Congratulations on your bundle of joy! So glad this recipe is helping you stay nourished and that it’s good for post-workout. Right on! I just changed my nutrition to paleo this week, and reading your book Well Fed (and I’m a bookaholic, I’ve got quite a few paleo books read) got me so motivated to try out all kinds of things, prepare beforehand and mix and match for most meals. So far it’s working out great, I love how my food tastes, and how it makes me feel. I’m a picky veggie eater, but you make it a blast! Thanks so much for all you’re sharing! Plus, I dig your style! Congrats on making the switch to paleo — good for you! Glad you like this soup and Well Fed. It doesn’t feel like “eating healthy,” right?! It just all tastes like good food. Hope you continue to enjoy eating this way! Trying this today with 1/2 butternut squash and 1/2 sweet potatoes. Smells delicious, can’t wait to dig in!! OMG. This was amazing!!! So glad I found your recipe! I did have to make a couple changes just based on what I did and didn’t have. I didn’t have chicken stock so I used homemade ham stock instead. I also didn’t have enough sweet potatoes so I added a couple carrots and the neck of a yellow squash to make up the difference. Even my picky kids are raving! I cannot express how much I love this recipe. I would eat this for every meal if it wasn’t for my self control. Personally I skip the bacon (sacreligious I know America) and use it for my after workout meal in which I cook a portion of seasoned ground turkey mix it in a couple scoops of soup, then top with two eggs fried in coconut oil. The egg/soup/meat combo is simply amazing. Plus having never heard of Ras el hanout, it is now my favorite mix. We had the most amazing summer in Seattle-warm, dry, gorgeous. But as the calendar just barely flipped to fall, it’s pouring! Not just damp, Seattle drizzle but crazy POURRRRING and very chilly and so windy. I served this lovely soup last night for a few friends and it really eased the weather whiplash we are all suffering from. I’m eating the leftovers right now. Comfort in a mug! Thanks so much for this delicious recipe!! I’m envious! I would love some cool, gloomy weather right now. Still in the upper 90s here in Austin. Boo! Oh my god! Sooo easy & sooo amazing! Thank you for such a great soup! Just finished making this soup!!! YUMMY! So easy to make with tons of flavour. Can’t wait to try your 10 minute pizza soup and golden cauliflower…MMMM! Winter is so long here in the Great Big North can hardly wait to enjoy this soups this winter! Glad these soup recipes will make your winter a little cozier. I’m envious! I love cold weather and it’s still in the 80s here in Austin. Maybe we should swap! Just finished making this. I don’t usually post things but this soup was SOOOOOOOOOO good that I had to!!! I made the spice mixture but didn’t have coriander or cayenne pepper and it still was fantastic. I also added some coconut milk that I had and it really rounded out the flavors. DELICIOUS! Thank you for commenting! I’m glad you like it… hope it made you nice and cozy! Wow. This was amazing! I am having a serious debate with myself about whether it constitutes food-with-no-brakes for me. So far, denial is winning. Great recipe! This was delicious! Three of my coworkers and I have a paleo lunch club, and today was my day to bring our lunch to share. They all devoured it! Love this. Didn’t have the Ras el Hanout, so I just used allspice. The cayenne pepper added a nice kick, too! I just made this and it is two thumbs up! Very good! I haven’t tried freezing it, but I think it will freeze and defrost just fine. But don’t add the crumbled bacon to the top until you’re ready to eat. I am not a fan of sweet potatoes. I have tried them many, many different ways. I accidentally acquired some this week (farm box) and before I could gift them a way, I stumbled across this recipe. I love soup and the fall chill is in the air, so I figured…why not?! Yum!!! I have *finally* found a sweet potato recipe that I like! Thank you! I didn’t like sweet potatoes for a long time, too, and I think it’s because most recipes make them sweeter — I like to make them spicy. Also, I never cared for the texture. I’ve found that I prefer the texture when I microwave them, then fry in a little cooking fat until crispy. You might want to give that a shot! Wash a potato, poke with a fork, wrap in a paper towel, and microwave for 8-10 minutes, until it’s a little squishy. Then cut into cubes and sauté in ghee or coconut oil. Sprinkle generously with salt. 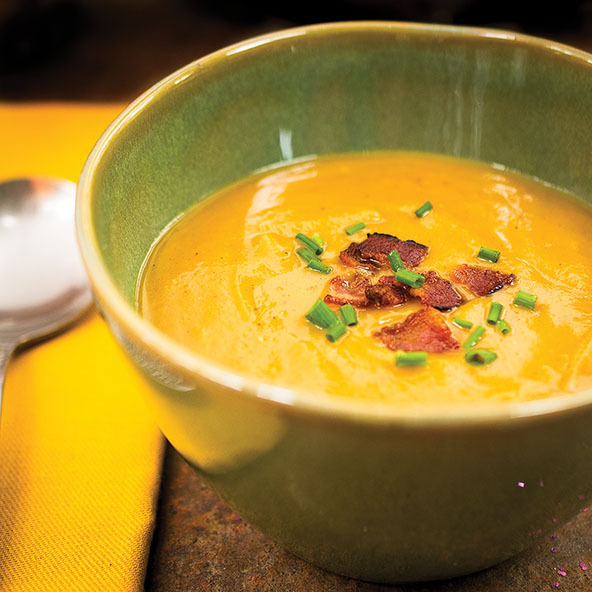 This is my favorite recipe for sweet potato soup. I make this all the time! I loved this soup…no bacon at home and I had some tart currants I wanted to do something with. Made a warm jammish/relish concoction with the currants, lemon zest and a bit of orange juice. I really like the tart/acidity with the savory soup! That sounds amazingly good! I’m on a kick of putting weird/interesting/tasty stuff on top of soup. LOVE your currant-lemon relish idea! I’ve made this soup several times and it is super easy and yum. Definitely worth making the ras el hanout spice blend. I don’t often have SF bacon on hand so I add 1/2 tsp of smoked paprika, and munch it down with a hard boiled egg and topped with the Paleo Granola. Super filling for lunch or breakfast. Love hard-boiled egg on top of soup! I made this a couple nights ago using hambone stock, and I added diced ham. Also, I only pureed about half the sweet potatoes, so it was more like a chowder. (And I forgot to add the water.) Oh my goodness — what a perfect blend of flavors! Spicy, smokey, just a tad sweet – yummm – thanks! That sounds delicious! I have a huge ham bone in the freezer from Christmas — maybe I should give that a go! My son-in-law made this for supper tonight and it was excellent. I would definitely serve this to guests. The Ras El Hanout adds an incredible flavor. He followed the recipe and I wouldn’t change a thing. Literally the best paleo meal I have ever made!!! Right on! I’m glad you liked it. Thanks for taking the time to let me know. Happy cooking! This was SO STINKING GOOD!!!! The flavor, the sweet and salty mix, warm, cold, everything about it! 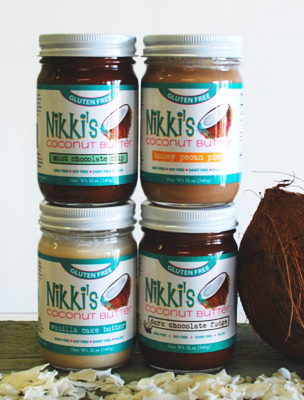 I really liked eating it with a little bit of avocado each spoonful…HEAVEN!!! Hooray! Glad you like it! Avocado = genius. I made this soup today and it was wonderful. Even my brother who isn’t crazy about sweet potatoes liked it. Hooray! Glad it was a hit. Thanks for letting me know! I have made this recipe countless times. Thank you for it. It’s a family favorite and even is enjoyed by my nonpaleo family and friends. Making it for Thanksgiving a second time! I love that we’re sorta-kinda part of your Thanksgiving… so fun! This is so good. Used some left over home made jerk seasoning instead of the Ras el hanout and it was great. I’d addition to the bacon I also topped with a spoonful of plain Greek yogurt and some pumpkin seeds. I think it was even better when I finished it today, three days in! 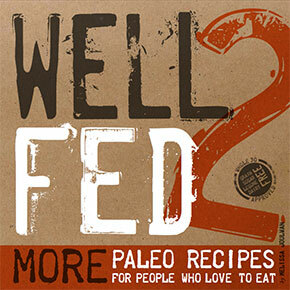 Thanks for buying Well Fed 2 — really appreciate the support! Yes, most soups freeze very well, including this one. Be sure to defrost it in the fridge, and reheat it slowly, over low to medium heat, to preserve the texture. If it seems too watery after you defrost, let it simmer for a few minutes; that will thicken it up! This is probably my favorite recipe between WellFed 1 and 2–I absolutely love it and the egg garnish idea is genius to add some protein. Plus the runny yolk makes the texture even better. Thanks for sharing your passion! 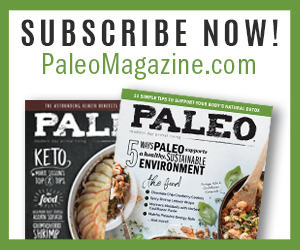 I’m not strictly paleo or Whole 30 anymore, but I still love your recipes and how you’ve written your books–so many options with all the recipes. I’ve made sweet potato soup before and was somewhat put off by the overwhelming sweetness of it. And I love sweet potatoes! I usually have to add in hot Italian sausage to offset it. So I was excited when I read a review stating that the seasonings offset the sweetness of the sp’s. IMO, the seasonings amplified the sweetness! Next time I think I will substitute a couple Yukon gold potatoes for one of the sweet potatoes, skip the Ras el Hanout and stick with garlic, onion and s&p. My daughter ate this up just fine though, so it’s a winner overall.